George Jones first hit the charts in the 1950’s and became arguably the king of country music singers. His songs of heartbreak, hard drinking and hard living were echoed in his own life. George Jones’ Gold-selling 1999 COLD HARD TRUTH CD reminded fans and critics alike why he’s considered “the greatest living country singer.” “Choices,” the first single from that album marked his 164th charted record. The Keith Stegall produced project earned Jones some of the best reviews of his already illustrious career and ensured his place in the new millennium of country music. Whether the times have favored honky tonk songs or lushly produced “pop” offerings, George Jones has continued to make his brand of country music, which has produced hits in every decade of the second half of the 20th century. In fact, Jones has had more charted singles than any other artist in any format in the history of popular music. In 2000 George Jones’ label, Asylum Records was consolidated into Warner Bros. Records, effectively closing the legendary imprint. Without Asylum’s management team of Evelyn Shriver and Susan Nadler at the helm, Jones opted to leave Warner Bros. Records. In 2001 Shriver and Nadler formed Bandit Records. Not only was Jones the first artist signed to the label, he became a principle partner in the venture. Bandit then formed a joint venture with BMG’s BNA label for sales, marketing and promotion services. GEORGE JONES THE ROCK is the first release under the BNA/Bandit banner. THE ROCK was recorded in two phases: the first group of songs were produced in 2000 by Emory Gordy, Jr. including the first single, “The Man He Was” written by Harley Allen and John Wiggins. 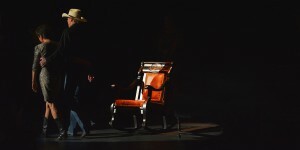 The second stage was recorded in July, 2001 and was produced by Keith Stegall. A pivotal song on the album is the emotion-wrenching “50,000 Names,” written by Jamie O’Hara who had also contributed the title tune, “Cold Hard Truth.” The song speaks of the heartaches and destruction experienced by so many as symbolized by the Vietnam Wall. 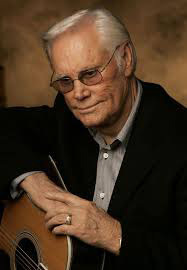 In 1998, while in the middle of recording Cold Hard Truth, George Jones had a horrific car accident when he lost control of his SUV vehicle and hit a bridge just a mile from his home. It took two hours for emergency medical teams to free him from the car. Doctors feared the worst as Jones had a collapsed lung, torn liver and other internal injuries. Jones remained in critical care on a ventilator to help him breathe for eleven days. He then developed pneumonia, which further exasperated his recovery. The situation looked bleak. 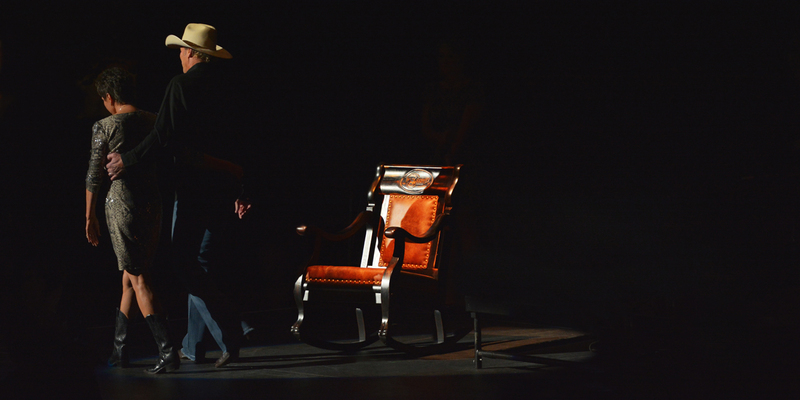 Performers from all eras – Little Jimmy Dickens, Alan Jackson, Randy Travis, George Strait, Sammy Kershaw and Billy Ray Cyrus, as well as Jones’ famed retired producer and friend Billy Sherrill, came to lend their support to Jones’ family. George Jones and Willie Nelson taking a break while chatting backstage. After recovering for several months, Jones resumed his career with the release of Cold Hard Truth and his never-ending touring schedule. But… this was a new George Jones who had finally turned his life around. Not only did he give up liquor, he stopped smoking and drinking coffee. George Glenn Jones was born in Saratoga, in East Texas. As a kid, he sang for tips on the streets of nearby Beaumont. By age 24, he had been married twice, served in the Marines and was a veteran of the Texas honky tonk circuit. On a recording session in 1955 for Starday Records, producer Pappy Dailey suggested he quite singing like his idols, Lefty Frizell, Roy Acuff and Hank Williams, and try singing like George Jones. The result was “Why Baby Why,” his first Top Five hit. George Jones alongside Patsy Cline and long time band member George Riddle. 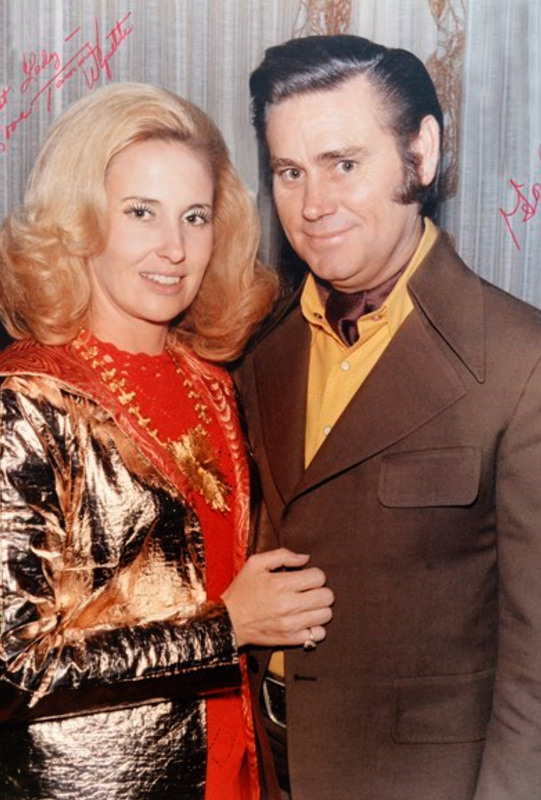 Jones, the top male singer in country music, married country music’s hottest new female artist Tammy Wynette in 1969. 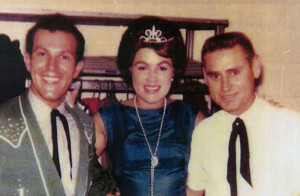 He soon joined Wynette’s label, Epic, where he enjoyed a successful 20-year association with producer Billy Sherrill. He hit #1 in the ’70s with “The Grand Tour” and “The Door,” both in 1974. Jones kicked off the 1980’s with one of the all-time great country records, “He Stopped Loving Her Today,” which won him Single of the Year honors from the CMA in 1980 and again in 1981. He won virtually every award available for that song including the Grammy and the song remained #1 for 18 weeks. His hits continued throughout the decade and his video for “Who’s Gonna Fill Their Shoes” won the CMA’s Video of the Year award in 1986. 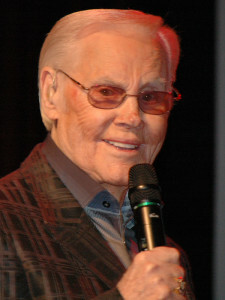 George Jones performing at the Ryman Auditorium in Nashville, TN. In 1991, Jones signed with MCA Records, an event MCA Nashville President Tony Brown said was “like signing Elvis.” In 1992 the CMA recognized Jones’ monumental career by induction him into the Country Music Hall of Fame. He recorded High-Tech Redneck and the highly acclaimed acoustic album The Bradley Barn Sessions for MCA. In 1995, Jones and Tammy Wynette were reunited for a new CD entitled One and toured together for the first time in twenty years. Thankfully, George and Tammy had found friendship and peace in their relationship before the First Lady of Country Music unexpectedly passed away in 1998. In 1996, Jones told his life story in the book I LIVED TO TELL IT ALL, which went to #6 on The New York Times bestseller list. As country fans were reading about his infamous past, he drew from his musical past in putting together his last CD for MCA, also entitled I Lived To Tell It All. His COLD HARD TRUTH project proved that George Jones is still “hotter than a $2.00 pistol” and is poised to continue his amazing music legacy with the BNA/BAndit release, THE ROCK. In addition to his country music legacy, George Jones and his wife Nancy are well-known around Music City for brightening up the holiday season with a dazzling display of Christmas lights and decorations on their farm just south of Nashville. And this past year they also helped light up the faces of needy children by opening their home to the public. The admission cost? FREE but they did request the donation of an unwrapped toy so they could be distributed to less fortunate families throughout middle Tennessee. George Jones’ wife Nancy being escorted off stage by Alan Jackson following the conclusion of the George Jones Tribute Show in Nashville, TN. 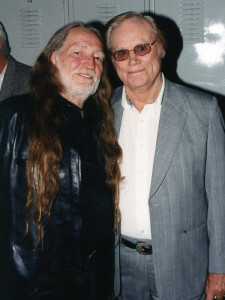 Sadly, George Jones passed away at the age of 81 in Nashville, TN on April 26th, 2013. However, in April of 2015 George’s wife Nancy opened a great new George Jones entertainment complex and museum located in the heart of downtown Nashville. It has since been sold to another ownership group and continues today as “The George Jones”. So be sure and visit it if you’re in town or visit them online at GeorgeJonesMuseum.